Texture Contemporary Ballet is a new works company. Texture dancers have a proficient base in classical ballet which they use as a foundation to push the boundaries of what classical ballet can be. We explore new ideas, concepts, ways of moving, and thrive on innovation. A Texture performance is energetic, passionate, innovative; it is technically clean and expresses musicality; it is a real treat to the senses. Texture Artistic Directors, Alan Obuzor and Kelsey Bartman, collectively have 29 years of experience as professional dancers and choreographers in the world of ballet. Combined, they have choreographed over 108 individual ballets, ranging from classical to contemporary, and from solos and duets to full length works. Texture is in the midst of its seventh season and has presented work by over 35 different choreographers. "... a company not only to watch but to savor." Items in this press kit include Introductory Letter, Website & Social Media, Company History and Mission Statement, Awards & Teaching, Key Artist Bios, Upcoming Season & Funders, Media Reviews and Preview, Business Cards, Postcard, Head Shot of Alan Obuzor, and Calendar. Artistic Director Alan Obuzor and Associate Artistic Director Kelsey Bartman are available for interviews and questions. Thank you for your time! ​The mission of Texture Contemporary Ballet is to create and present authentic and dynamic movement that is based in classical ballet. Our artists express originality and passion through collaboration and performance, with the goal to inspire an appreciation of dance, and to captivate our audiences. Texture Contemporary Ballet was founded in 2011 by Alan Obuzor to provide artists a safe, inclusive, and stimulating place to create and perform innovative and dynamic contemporary ballet. Texture’s classically trained, professional ballet dancers have danced and trained at the top ballet companies and schools in America. Resident and guest dancers are brought together to create and present predominantly contemporary and neo-classical work. Texture is a new works company; in seven years Texture created and presented over 125 new dance works by 35 different choreographers. Texture Contemporary Ballet has collaborated with many Pittsburgh organizations and artists, including Cello Fury, OvreArts, Meeting of Important People, Anqwenique Wingfield, Joe Sheehan, Manchester Craftsmen’s Guild, Opera Theater of Pittsburgh, and Resonance Works. 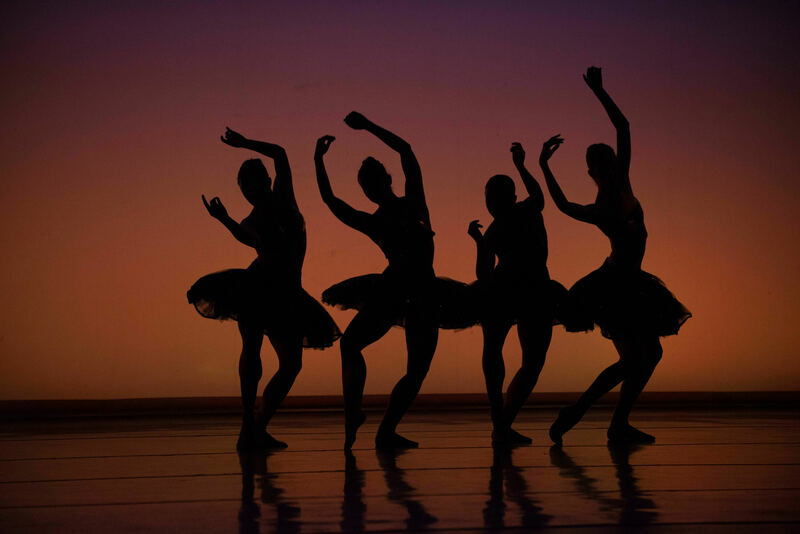 Our community involvement includes multiple performances for First Night Pittsburgh, SWAN Day, PrideFest, Speaking Of… , Pittsburgh Ballet Theatre’s Dancer’s Trust, and Millenium Pittsburgh. We’ve also performed at Fresh Works presented by Kelly Strayhorn Theater, newMoves Contemporary Dance Festival, WYEP Holiday Hootenany, AFTA Convention, WYEP Summerfest, Opera Theater Summerfest, University of Pittsburgh’s Controlled Chaos, Sarah Parker’s Evolve, and had a sock drive to benefit the Women’s Center & Shelter of Greater Pittsburgh and Pleasant Valley Shelter for Men. Texture performs three main stage shows a year at the New Hazlett theater in Pittsburgh, PA’s North Side neighborhood. At each of these shows we present an abbreviated family friendly performance for children. The Children’s Performance consists of approximately 30 minutes of excerpts from the main stage show, and approximately 30 minutes of interactive dance exercises on stage with the dancers, priced at $10 per family to encourage families to expose their young children to professional dance. Each season we also present WIP (Works in Progress) Choreography Project, co-founded in 2008 by Kelsey Bartman, Robert Poe, Mary Lohr, and Andrea Vierra. The purpose is to allow young choreographers with a variety of experience to hone their craft in an open and encouraging environment. Alan Obuzor was honored in 2013 by Dance Magazine by being named one of the "Top 25 to Watch". Originally from Pittsburgh, Alan began dancing at the age of nine. Two years later he attended Pittsburgh Ballet Theatre School(PBTS), where in 1998 he was a recipient of the prestigious Princess Grace Foundation Dance Honorarium. Alan received a contract to join Pittsburgh Ballet Theatre's(PBT's)professional company at the age of 17. During his seven years in PBT's Company, he danced a wide array of ballets ranging from classical to neoclassical to contemporary, which included principal and soloist roles in ballets such as The Nutcracker, Swan Lake, Symphony in C, Carmina Burana and Divertimento 15. In that time, he also worked with many world-renowned figures in dance, and was selected to originate soloist roles in new works by choreographers Dwight Rhoden, Derek Dean, Matjash Mrozewski and Jiabin Pan. 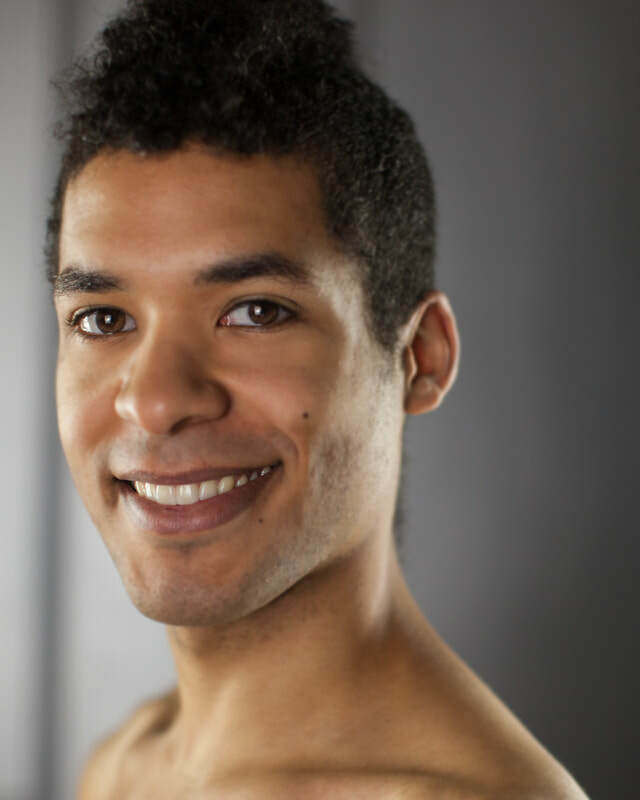 Alan began teaching in 2002; from 2007-2012 Alan was on the faculty of PBTS as one of the primary Pre-Professional Division teachers and choreographers. In the fall of 2012, Alan joined the teaching faculty of Pittsburgh Youth Ballet. Alan choreographed his first work in 2002 on himself and a fellow dancer. Since that time, he has choreographed over 80 new works for Texture Contemporary Ballet, PBT, PBTS, New Ballet Ensemble, Harvard Ballet Company, Point Park University, Dancers' Trust, Canton Ballet, Pittsburgh High School for the Creative and Performing Arts and various independent projects. In 2011, Alan won first place in the Pittsburgh Chapter of the National Society of Arts and Letters Dance/Choreography competition. In 2014 Alan was awarded the 2014 BRAZZY Award for outstanding male dancer in Pittsburgh. Early in 2017 Alan was awarded an “Outstanding Teacher Award” by Youth America Grand Prix. Kelsey Bartman is the co-creator of Works in Progress(WIP) Choreography Project. She is originally from Pittsburgh, Pennsylvania, and began formal training with Pittsburgh Ballet Theatre School(PBTS) and Pittsburgh High School for the Creative and Performing Arts(CAPA). Summers were spent studying at American Ballet Theatre New York, Jacob's Pillow Jazz Program and PBTS. Kelsey continued as a trainee with Pittsburgh Ballet Theatre(PBT). She then joined Nashville Ballet 2 in 2007 and was hired on as a Nashville Ballet Apprentice. She has had the honor of dancing in Balanchine's Four Temperaments and Serenade, Sarah Slipper's Postcards From the Boys, as well as Paul Vasterling's Adjustable Wrench and Carmina Burana. Kelsey began choreographing on PBT's school and company. Since then she has co-created WIP Choreography Project, and choreographed for Nashville Ballet, Nashville Ballet 2, and Texture Contemporary Ballet. Her work Stills From Italy was performed at the White Wave DUMBO Dance Festival in NYC. Kelsey has taught for the School of Nashville Ballet, Evolve Productions, the Alloy School and is now teaching for Pittsburgh’s Millennium Dance Complex. Kelsey is currently Associate Artistic Director, Choreographer and Dancer for Texture Contemporary Ballet. Bob Steineck has design credits spanning over 30 years that include concerts, ballet, modern dance, opera and theatre. He is currently resident lighting designer for Texture Contemporary Ballet, Pgh Playwright’s Theatre, Mercyhurst Univ. Dance Dept., Morgantown Dance Theatre, Rennie Harris PureMovement & RHAW, and Raphael Xavier Company. Mr. Steineck has toured throughout the US and abroad with such Companies as Rennie Harris’ Pure Movement & RHAW, Reed Dance, Squonk Opera, the Lyon Opera Ballet, Sankai Juku, Phoenix Dance Company, Kirov Ballet Academy and the "America Tour" for Stars on Ice. Television/Video/DVD credits include the DIZZY GILLESPIE Allstar Big Band for A&E Cable, the SPYRO GYRA concert for PBS, Lindy & Loon for Maria Del Rey and JOHNNY A TRIO by Warner Bros. Publications. He has designed for several corporate events & fund raisers. His most recent lighting designs include: RDA-NE Dance Festival; Texture Contemporary Ballet’s Interfusion; TUGTAWP at Fringe Arts in Philly; THE Piano Lesson for Pgh. Playwright’s Theatre; Luv American Style at New Victory Theatre, NYC for Rennie Harris’ RHAW; and Carmen, Kiss Me Kate & Julius Caesar for Opera Theater of Pgh. Upcoming projects include Point of Interest for Raphael Xavier at World Music/CRASHarts in Boston. My good Side with Teena Marie Custer and JH: Mechanics of a Legend with Hiawatha Project. Rachel Harman is originally from Leesburg, VA, recently graduated from Point Park University in April of 2017 with a B.A. in Dance. While studying at Point Park, Rachel had the pleasure of performing works by Nicolas Petrov and Ernest Tolentino as well as performing Giselle choreographed by Jean Coralli and Jules Perrot. Rachel has previously trained at summer intensives such as Complexions Contemporary Ballet, Alonzo King’s LINES Ballet, Ballet Austin, and Indiana University. She is very excited to now be working with Texture Contemporary Ballet. She has been amazed by the talent this company holds and is truly honored to be a part of it. Madeline Kendall was raised in Sacramento, California where she trained from the age of eight at Capitol Ballet Center under the direction of Stuart Carroll and Sharron Newton. In 2014, Madeline moved to Salt Lake City, Utah to dance with Ballet West, where she had the opportunity to perform in productions of Giselle, Swan Lake, The Nutcracker, Aladdin, Beauty and the Beast, George Balanchine’s Symphony in C, and John Cranko’s Romeo and Juliet. Over the past two years, Madeline toured the state of Utah as a part of an educational outreach called Ballet West for Children. She also performed as a guest artist in a production of The Nutcracker in Fairbanks, Alaska. More recently, Madeline travelled to Germany where she participated in a Cultural Dance Exchange Program with The Staatliche Ballettschule Berlin. Katie Miller received her early ballet training at Paavola School of Dance in Flint, MI. After graduating high school, she continued her training with Pittsburgh Ballet Theatre’s Graduate Program and had the opportunity to perform with Pittsburgh Ballet Theatre. Katie joined the Sacramento Ballet in 2010, and throughout her six seasons there, she was honored to perform a variety of works. Her favorite roles include the Pas de Trois in Swan Lake, the Fairy Godmother in Cinderella, Snow Queen in The Nutcracker, and the Second Violin in George Balanchine's Concerto Barocco. Katie has been a guest dancer with Texture since 2012 and joined last season as a resident dancer. Photo credit: Keith Sutter. Alexandra Tiso began her dance training in jazz, tap and contemporary styles at various schools in Tampa, Florida. At twelve years old, she changed her focus to classical ballet and modern with teachers Amanda Keeney and Mitsie Kraack. She was accepted into the dance program at Blake High School of the Arts where she studied under Albena Arnaudova and Kelly Rayl. Alexandra also attended training intensives at Orlando Ballet, the ROCK School, Alonzo King’s LINES Ballet and Nashville Ballet. After graduation, Alexandra joined the Pittsburgh Ballet Theatre’s graduate program, where she danced as a trainee for two years before joining Texture Contemporary Ballet in 2012. Alexandra has performed works by George Balanchine, Robert Moses, Alan Obuzor and Kelsey Bartman. She has performed on tour in New York, Chicago, Florida and at the prestigious Jacob’s Pillow Dance Festival in Massachusetts. Alexandra is the youth director at Dancexplosion Arts Center and is on staff at the Pittsburgh Ballet Theatre School. Her choreography has been set on Texture Contemporary Ballet and Blake High School of the Arts. Alexandra is also artistic administrator for Texture. ​Brynn Vogel, originally from Sacramento, California, began her training at Capitol Ballet Center under the direction of Stuart Carroll and Sharon Newton. At the age of 17, Brynn moved to Pittsburgh to study dance at Point Park University. While in school, she had the opportunity to perform in works such as Gerald Arpino’s Light Rain and George Balanchine’s Valse-Fantaisie. 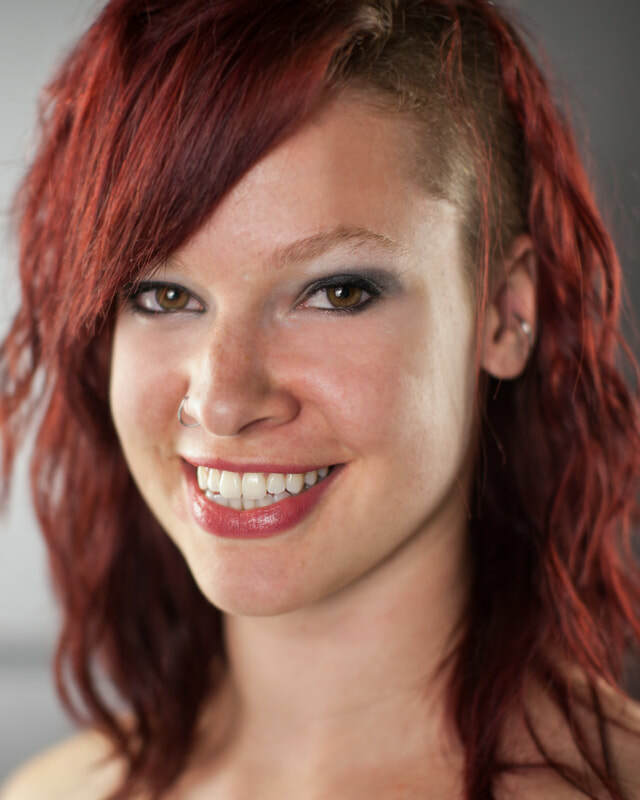 Brynn graduated with a Bachelor of the Arts degree in Dance in 2011, and joined Texture the following year.